Can a Long Island Foreclosure Attorney Defend By Asserting that the Lender Lacks the Original Loan Documents? When is a Mortgage Loan Considered Predatory in NY Foreclosure Cases? When Are Juridictional Defenses Waived in Foreclosure Long Island Cases? Long Island Bankruptcy, Foreclosure and Modification Attorneys and Lawyers, Serving Suffolk County and Nassau County, N.Y.
Nathan Kaufman, Esq. Nathan joined the Law Office of Ronald D. Weiss, P.C. as an associate in March 2014, where he focuses his practice on Chapter 7 and 13 consumer bankruptcies and small business Chapter 11 bankruptcies. He is admitted to practice in the states of New York and New Jersey, and the United States District Courts of the Eastern District of New York, the Southern District of New York, and the District of New Jersey. 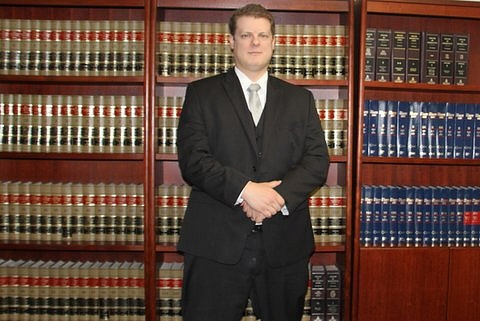 Prior to joining our office, Nathan was an associate at a Brooklyn-based commercial litigation firm and a Manhattan-based insurance defense firm, maintained a solo practice based in Queens focusing on debtors’ rights (bankruptcy, state court litigation, and foreclosure workouts), and was an assistant law clerk to Hon. Paul Wooten, J.S.C., New York County. Nathan graduated from Yeshiva University’s Benjamin N. Cardozo School of Law in June 2007, where he was an Articles Editor for the Cardozo Public Law, Policy, and Ethics Journal. Please call us at (631) 479-2455, or e-mail us at weiss@ny-bankruptcy.com for a free consultation to discuss your legal options in greater detail. Who Can File for Bankruptcy Protection? When Should a Bankruptcy Case Be Filed? What is Chapter 7 Long Island Means Testing? What if I’m in Default and/or Threatened with Foreclosure? What if I’m Served with a Summons & Complaint? Should I Defend the Foreclosure Action? What are Some Foreclosure Defenses? Should I Attend Foreclosure Conferences? What to Do in a Prolonged Foreclosure and/or if a Judgment Has Been Entered? What to Do if There’s Notice of a Foreclosure Sale? What if My Home Was Already Sold in a Sale? How to Obtain a Mortgage Modification? What to Do if Denied/Approved for a Modification? What if My Lender is Being Overly Difficult? What Are Options Besides Mortgage Modification? Can We Help with Modifications & Negotiations? *for late evenings, weekends, and emergencies. States Bankruptcy Code. Our law firm concentrates in bankruptcy law and in foreclosure solutions.